The learning management system upstart Instructure is unveiling Canvas K-12 today, a version of its platform aimed — as the name suggests — for the K-12 level. The company says that it’s already had over a dozen school districts adopt Canvas, even before this roll-out of a specially designed LMS. As such, it’s hardly surprising to see some of the big education companies make their move to offer schools these services. The acquisition of Edline by Blackboard last fall made it clear that the learning management giant was serious about its push into that market. But as the Simba research suggests, it’s a market that’s still up for grabs. While Blackboard still holds a little over half of the higher ed LMS market, Blackboard, Pearson and Moodle altogether share only about 30% of the K-12 market. 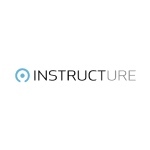 That provides an interesting opportunity for Instructure, which officially launched its cloud-based LMS this time last year.